Here you can walk through the beauty of the Ribble Valley, through the rugged dales of Yorkshire to the thundering waterfalls of Teesdale and the sheer awe of encountering High Cup before then experiencing the solitary majesty of Cross Fell and the High Pennines. In it's final stages the walk follows the sylvan splendour of the Tyne Valley before tramping in the footsteps of the Roman Legionnaires along Hadrian's Wall towards Carlisle. This is a walk that quite simply contains the best of English walking. This walk was devised to incorporate some of the best walking in the north of England. It has been broken into manageable sections with overnight stops where good accommodation is available. Starting and finishing at mainline railway stations, this walk is designed for anyone of reasonable fitness. Based on years of experience of walking using guidebooks which are vague, misleading and sometimes simply totally wrong, the author has taken great care to give simple instructions which have been rigorously checked. 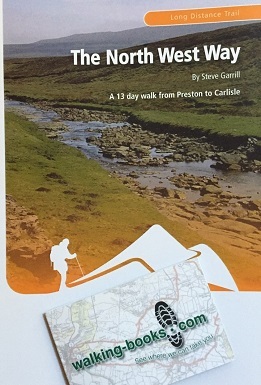 Starting in Preston the walk follows the Ribble Way on the riverside paths of the delightful Ribble Valley, through Ribchester and Hurst Green to Gisburn. Shortly after Gisburn it heads eastwards to pick up the Pennine Way at Malham with its dramatic limestone outcrops. Follow it northwards through what anyone who has completed the Pennine Way would agree is its best section. There are many scenic highlights such as the exciting scramble over Pen-y-Ghent, the formidable heights of Great Dun Fell and Cross Fell, the awesome falls of High Force, the glacial valley of High Cup Nick - which many consider to be the highlight of the walk and many more too numerous to mention. At Alston, the highest market town in England, the Pennine Way reaches one of its poorer sections. Our walk instead takes a more gentle route up the beautiful South Tyne Trail, following the line of a disused railway to Haltwhistle. The walk now links with the Hadrian's Wall National Trail and heads west towards Carlisle along an inspiring walk rich with history and over the incomparable Walltown Craggs, one of the highlights of walking in the north of England. By combining the best sections of established walks, there is the added advantage of routes which are marked on OS maps/GPS to cross-reference against the detailed instructions in this book. Apart from all the different types of walking involved, there are many interesting small museums, towns and villages with friendly people, good food and real ale available. Walking is increasingly popular in Britain, you will still find solitude, but be aware that accommodation is limited in places. If you plan to complete the walk in one go, in my opinion the best way, then start to book your accommodation many weeks in advance. 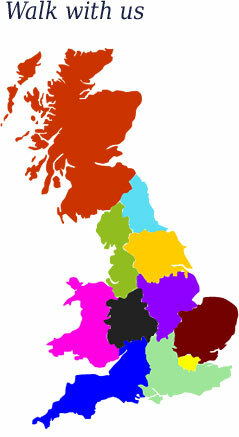 I have indicated where places to stay are particularly limited.